Christmas is a time of festivity, giving and family but it is also a time where the levels of waste produced increases. Most of us forget to recycle or dispose of waste properly or are not aware of the recycling rules. In order to help our Barna Recycling customers dispose of their waste correctly, we have provided the below list to follow this Christmas. All other collections due over the Christmas and New Year period will experience no change to their scheduled collections. Please leave your bins out the night before to ensure collection, as collection times may differ due to traffic, weather conditions and other circumstances on any given day. 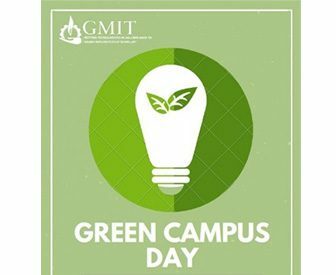 Barna Recycling attended the GMIT Green Campus Day on Monday 2nd October. The day was officially opened by the Minister for Communications, Climate Action and Environment, Denis Naughten TD.